It's dotenv, but by default overrides system environment variables. This project is a fork of motdotla/dotenv. The difference is this project by default overrides system environment variables. to use your own environment variables in .env without changing any code in index.js. The original project doesn't have an easy way to achieve above. Dotenv is a zero-dependency module that loads environment variables from a .env file into process.env. Storing configuration in the environment separate from code is based on The Twelve-Factor App methodology. As early as possible in your application, require and configure dotenv. 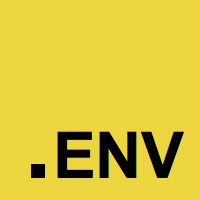 process.env now has the keys and values you defined in your .env file. You can use the --require (-r) command line option to preload dotenv. By doing this, you do not need to require and load dotenv in your application code. This is the preferred approach when using import instead of require. Additionally, you can use environment variables to set configuration options. Command line arguments will precede these. config will read your .env file, parse the contents, assign it to process.env, and return an Object with a parsed key containing the loaded content or an error key if it failed. You can additionally, pass options to config. You may specify a custom path if your file containing environment variables is located elsewhere. You may specify the encoding of your file containing environment variables. When set to true, the environment variables from your env file override what is set in process.env. You may turn on logging to help debug why certain keys or values are not being set as you expect. The engine which parses the contents of your file containing environment variables is available to use. It accepts a String or Buffer and will return an Object with the parsed keys and values. No. We strongly recommend against committing your .env file to version control. It should only include environment-specific values such as database passwords or API keys. Your production database should have a different password than your development database. Should I have multiple .env files? No. We strongly recommend against having a "main" .env file and an "environment" .env file like .env.test. Your config should vary between deploys, and you should not be sharing values between environments. What happens to environment variables that were already set? By default we will modify any environment variables that have already been set. In particular, if there is a variable in your .env file which collides with one that already exists in your environment, then that variable will be used. If you don't want to override it you can set the override option for config() function to false. Can I customize/write plugins for dotenv? How do I use dotenv with import? ES2015 and beyond offers modules that allow you to export any top-level function, class, var, let, or const. client will not be configured correctly because it was constructed before dotenv.config() was executed. There are (at least) 3 ways to make this work. Here's some projects that expand on dotenv. Check them out.